Can a seal on a bottle change consumer behavior? When you're buying cheese, do you purchase Tillamook cheese over Safeway's house label, or Backporch Coffee Roasters over Starbucks, strictly because you want to keep Oregon companies safe from international mega-corps? Debates such as those beg another one: Why does the topic of "real" and "faux" craft beer come up so often, and inspire so much vitriol among posters on BeerAdvocate and Facebook? Last month the Brewers Association, a trade group that advocates for America's 5,300 or so small and self-owned breweries, released an "Independent Craft Brewer Seal" for beer sellers to place on bottles, boxes and other materials. It's available to any brewery, BA member or not, who signs a licensing agreement and meets the BA's definition of "craft brewer," which includes no more than 25 percent ownership by another non-craft alcohol industry member. The BA's new seal comes amid a trend in recent years of craft breweries receiving investments or buyouts from larger macros including AB InBev, MillerCoors and Constellation Brands, importers of Corona. This includes famous names such as Ballast Point in California, Wicked Weed in North Carolina, and—of course—our neighbors at 10 Barrel Brewing. It also comes at a time when the macros, and the beer distributors they control, have made inroads in several state legislatures to pass laws that smaller breweries say give them an unfair advantage at liquor stores and bars when competing for shelf space. 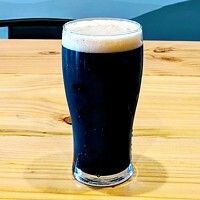 Roger Worthington, the Corvallis native who opened Worthy Brewing on Bend's east side in 2013, uses the term "Dark Side" to refer to breweries that accept a macro's money. "Dark Side sounds harsh," he wrote in his blog, "but the truth is that the industrials want to rig the game. They have superior fighting power when it comes to capital investment, marketing, distribution and lobbying. Like any mega-monopolist, their purpose is to price out, cripple and crush the competition. At the risk of sounding shrill, in many cases the industrials pose a clear and present danger to the viability of authentic craft breweries." No company wants to be called "dark," and several of the breweries Worthington talks about have fired back. A video posted by The High End, the InBev division that oversees their craft-y efforts, features 10 Barrel co-founder Garrett Wales criticizing the BA's new seal alongside High End boss Felipe Szpigel. 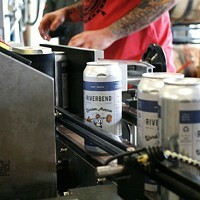 "At the end of the day," he said, "the beer does the talking, not the label on the package. The BA continues to refuse to let the consumer make up their own mind and tries to make it up for them. They have a little bottle that someone told me, 'that's what I have to buy,' but that doesn't mean [jack] to me." Both sides agree that it's ultimately the quality of the beer that decides who survives and who doesn't. But while going to Starbucks for a quickie coffee won't put Backporch out of business tomorrow, Worthington argues that keeping the term "craft beer" meaningful is vital for the business's future, and Bend's presence in it. 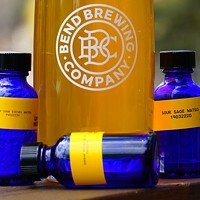 "Bend is a unique and valuable craft brewing terroir for many reasons, including our access to crystal-clear snow melt water," he stated. "Like 'Bordeaux,' 'Champagne,' and 'Napa Valley,' Bend is tantamount to an appellation, which must be protected from imposters." 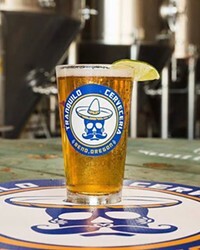 Bend's Entry Into Mexican-style Cerveza Includes Tranquilo Especial, Affiliated With Hola!